Apple has made it clear over the past year that it intends to move into the original programming space and a recent report from The Wall Street Journal shows it may be making good progress. According to the report, Apple is in the process of finalizing a deal to bring back Steven Spielberg’s science fiction series “Amazing Stories” originally broadcast in the 1980s. The deal between Apple and Spielberg’s production company Amblin Entertainment would see 10 new episodes of the series produced in partnership with NBCUniversal. It’s not clear exactly to what extent Spielberg himself will actually be involved in the creation of the show since Bryan Fuller is going to be the show runner but it’s expected that he’ll play some kind of executive production role. Given the original show took an anthological approach with different stories and directors for each episode, it’s very possible that we could see Spielberg take a more hands-on role for at least one episode but no announcements have been made in relation to this just yet. With each episode being given a budget of $5 million, this is a big chance for Apple to prove what it can do in an increasingly saturated market that’s currently dominated by names like Netflix, Hulu and, increasingly, Disney. Apple doesn’t ever enter a new field with the intention of remaining a pip and it has apparently made it emphatically clear that it would like its original programming to involve big names in writing, acting and production. There are reports the company is bidding on other big projects which include a comedy show starring Jennifer Aniston and Reece Witherspoon. 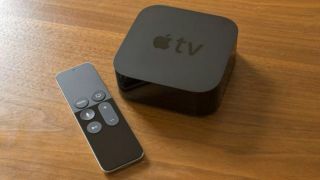 Apple has reportedly committed $1 billion to its original programming effort which should help in securing the A-list names it’s seeking. That said, though $1 billion seems like an astronomical sum it’s nothing compared to the $7 billion Netflix has apparently committed so it’s clear that Apple will need to take a more creative approach than throwing money at this project to make it succeed. The recent hiring of influential Hollywood names such as Sony’s Jamie Erlicht and Zack Van Amburg suggest Apple more than understands this. A big question that remains to be answered, though, is how Apple intends to distribute its original programming. Its competitors all have easily accessible platforms dedicated to their content but Apple doesn’t really have anything similar. It does sell third-party TV and film content separately on iTunes but you’d think it’d want to separate its own offerings and offer a more drawn-together means of accessing them. Its original titles such as Carpool Karaoke have been made available on Apple Music but that platform somehow doesn’t seem fitting for a Spielberg production that has very little to tie it to popular music. This makes us wonder, then, if there’s a new Apple subscription service on the horizon. If Apple is as serious about pursuing original programming as it seems to be this would make sense. Despite the increasing number of TV and music streaming services, consumers don’t seem to mind having multiple subscriptions if it means accessing original content they enjoy. If Apple was to expand its Apple Music ecosystem to include TV shows there’s no doubt it would have fans. If it continued to keep the content exclusive to Apple devices it would also give the Apple TV the unique selling point it desperately needs.